The Parents’ Perspective: What if Talent Outweighs Passion? My daughter does not have the desire to play perfectly (we call her “Miss good enough”) so she would never make it as a musician. We have nagged her enough to get her to a level where she can play with others, which is what she enjoys. I think by age 13 it will be very difficult to force a child to practice, especially if they do not already have a level of facility on the instrument. Pushing too hard at that age will just turn them off completely. 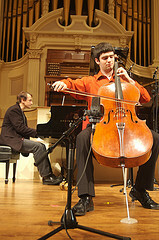 Have your child enroll in a chamber music class. It’s true that band and orchestra are fun and social, but with chamber music you have to really know your individual part and listen to the other players. Sometimes it’s important to let go of telling your child to practice but find ways to know that they are learning and growing musically. They will not want to let the group down and will prepare their part. It is most important to let them find pleasure and magic in music. Chamber music is that magic. Welcome to the fifth installment of The Parents’ Perspective – a mini blog series for parents by parents, to lend advice and share stories about raising musical children. For this post we’ve taken a slight detour in format. Blogger Katheryn Rivas approached us with an idea that we adapted for The Parents’ Perspective. Katheryn wrote an article (below) about Amy Chua, a Yale Law School professor who recently published her parenting memoir “Battle Hymn of the Tiger Mother.” You may have heard of it, or seen the Wall Street Journal article about her parenting methods. We asked our Parents’ Perspective contributors to read Katheryn’s article and react to the tactics Amy used with her daughter Lulu, a young pianist. There are many perspectives on this subject and we hope this provokes further conversation. What do you think about Amy’s tactics? Comment below and keep the dialogue going! Part 1: Should Parents Go “Tiger Mom” on Their Musical Kids? Amy Chua, a Yale Law School professor who has received an enormous amount of media attention following the publication of her parenting memoir “Battle Hymn of the Tiger Mother,” is now nothing short of a household name. For our fourth blog of The Parents’ Perspective we asked for both parent and reader feedback on which topic to discuss – skipping school for the sake of music, or dealing with stage fright and nerves. Both are great (and important) topics, but we had overwhelming interest in discussing the matter of skipping school for the sake of music, so that’s what you’ll read about today. We will talk about stage fright in a later post. Being a parent of a young musician certainly isn’t easy, especially when confronted with the choice of sending your child to school or allowing them to compete in a competition that may further their musical career. Below are opinions, personal stories, and advice from parents of From the Top alums. There are many perspectives on this subject and we hope this provokes further conversation. Please feel free to comment below and keep the dialogue going. If either of my children had to miss school for the sake of music, I always arranged with their teachers that the children could somehow get credit for the musical work; they always were required by us (the parents) to make up tests, etc. Missing/skipping school for the sake of music was simply okay with us, so long as all responsibilities were taken care of. He missed school only a couple times a year and it always seemed to be beneficial academically and musically. Whenever Sean did take time off from school, it was always for the sake of music! It may have been for a special workshop with a master teacher or to perform. Another reason he missed a day of school was to provide Arts Leadership in his community by visiting 4th grade classrooms at a local elementary school. He talked about his instrument, played and answered students’ questions. Skipping school only happens for a good musical reason and it definitely makes him a better student, musician and person. Skipping school was never really an issue with Eric. There were a few times Eric was excused for a local concert and there was one year when I needed to arrange for Eric to take a NYS Regent’s exam at another school so that he could start the Tanglewood summer program on time. Fortunately, school was very easy for Eric so it was not hard for him to make up anything he missed. But generally he didn’t want to miss classes. Both my wife and I, in concurrence with Gabriel, felt strongly that both schoolwork and music-related responsibilities should be honored and completed fully to the extent of one’s ability (all this while keeping social development active). – A strong relationship developed between school administrators, teachers and Gabriel concerning the matter of keeping up with learning effectively, completing assignments timely and efficiently, and enjoying the school experience socially. – A sound understanding of responsibility and accountability became part of Gabriel’s daily life. In order to perform, he had to keep up with his school-related work; and in order to attend public school, he had to prepare for his concerts efficiently. 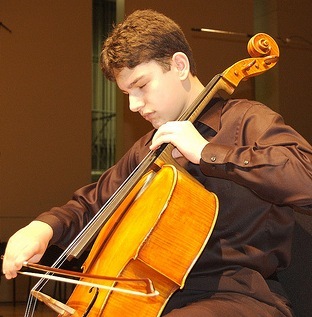 – Gabriel’s organizational skills strengthened acutely as time passed and he learned the skills necessary to balance the scholarly duties with the music-related requirements of his life, and to eventually unite them fully into his current endeavor: continuing to learn and perform at a music conservatory. Skipping for the sake of music, when necessary, actually prepared Gabriel for undertaking higher education and continuing his development as an aspiring musician. The Parents’ Perspective: Practice, Practice, Practice! Welcome to our third installment of the Parents’ Perspective – a mini blog series for parents, by parents, to lend advice, share stories, and more about raising musical children. You can also read past posts on music resources and musical beginnings. Today’s topic is on practicing: How’d you get your kids to do it? What schedule worked best for you? Was it easy or difficult to get your child to practice? We received a wealth of feedback from parents, and also had guest blogger and piano teacher Maria Rainier weigh in. Enjoy! A structured practice schedule is helpful! The Parents’ Perspective: Now What? This is the second installment of our Parents’ Perspective blog series, which is meant to share information, hints, and knowledge about raising musical kids. You can read the first blog about musical beginnings here. Today’s topic: Your kid wants to study an instrument – now what? Our parent panel gives some tips on finding music teachers. Word of mouth can be a very powerful tool! 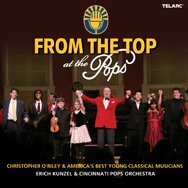 As you know, From the Top showcases the best young musical talent from across the country. But what about the support behind these amazing kids – the parents? We’ve set out to tap into the rich knowledge base of From the Top performer parents in an effort to share information, stories, and encouragement on raising musical kids. This is the first blog in what we hope will be an on-going series. Musical beginnings: How do you know your child is ready to study an instrument & are you ready to help them? Whether or not you have any musical background, our parents share why studying music is a family affair. 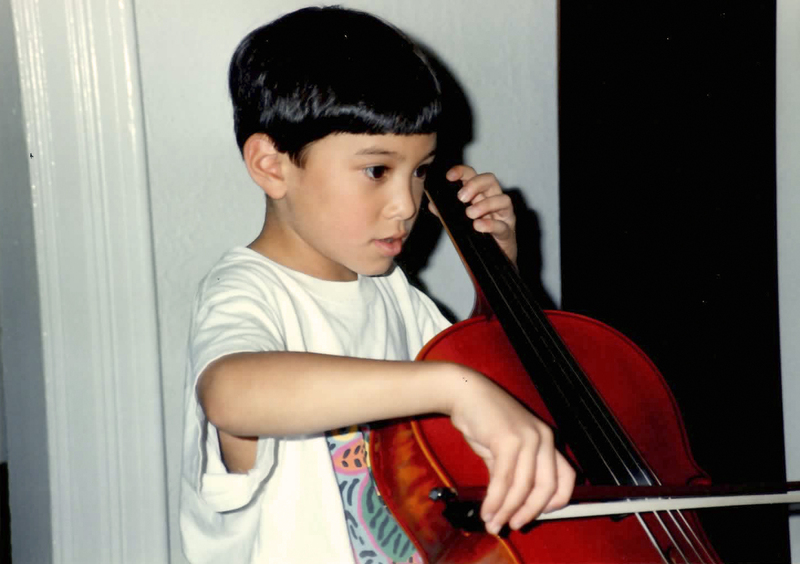 “Starting at age three, I dragged him to one of my community orchestra rehearsals (I’m a flutist)…After a few weeks he got to be friendly with the cellists and trombonists as they sat near him.